next to Fisherman&apos;s Wharf in Monterey to snap a few photos. Not many car shows have a 1950 concrete mixer on display. The Model A is beautiful, too. A 1946 sedan leads several other cars to their spots for the Show &apos;n Shine. There&apos;s a lot of truly stunning paint jobs on display at Cherry&apos;s Jubilee. 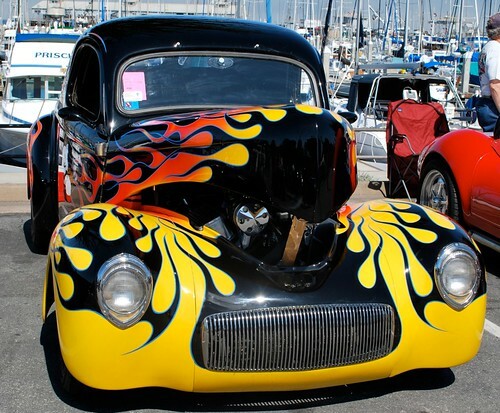 This 1941 Willys is a good example. Looking like something straight out of Mad Men, here&apos;s a 1956 Chevy Nomad. 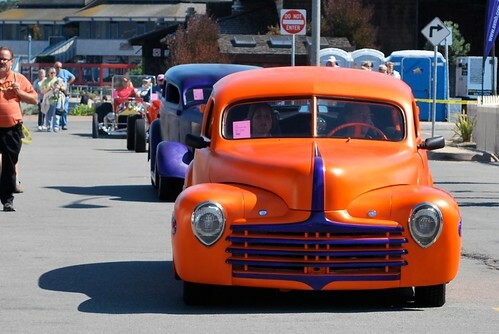 The Cherry&apos;s Jubilee Show &apos;n Shine continues until 10 pm tonight. Want to see them in motion? 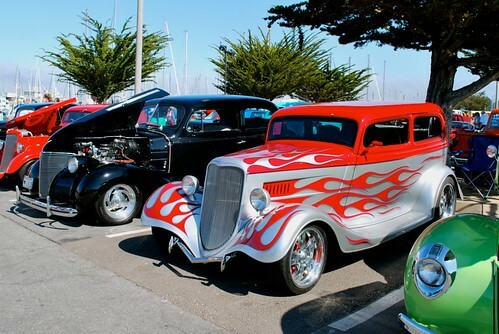 Many of these cars will be cruising around Old Monterey from 5 pm to 9 pm. 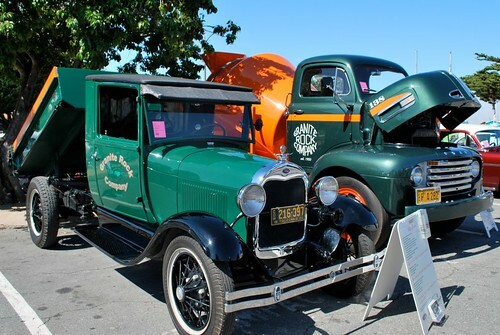 Don&apos;t miss the Show &apos;n Shine in the paddock and all the other great events at Mazda Raceway Laguna Seca on Saturday and Sunday from 7 am to 4:30 pm, or the Show &apos;n Shine at Cannery Row tomorrow from 4 pm to 10 pm! And if you can&apos;t be there in person, check out the rest of our photos on Flickr.